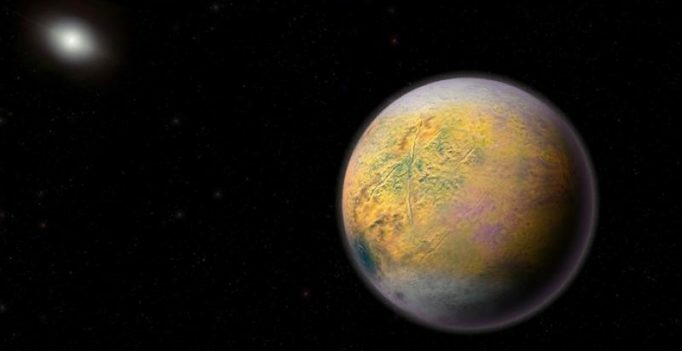 Scott Sheppard of the Carnegie Institution for Science, one of the astronomers who made the discovery, said the Goblin is on the small end for a dwarf planet. It is officially known as 2015 TG387 by the International Astronomical Union’s Minor Planet Centre. 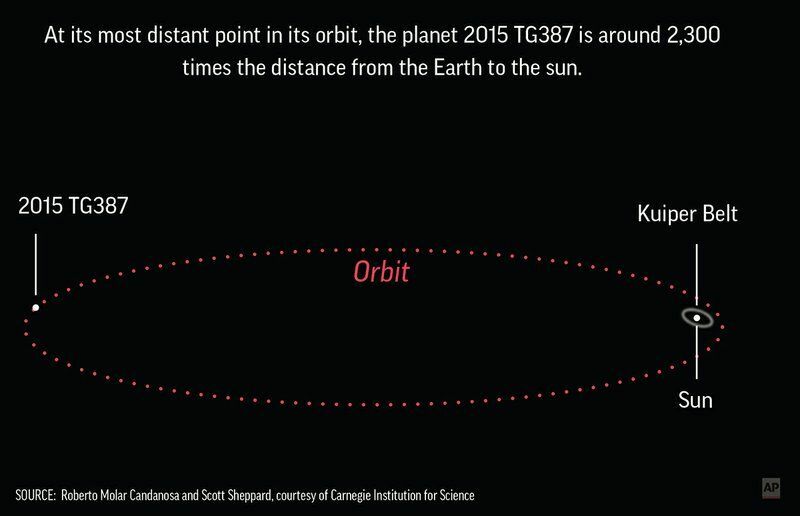 This is the third dwarf planet recently found to be orbiting on the frigid fringes of our solar system. Goblin’s orbit is extremely elongated — so stretched out, in fact, that it takes 40,000 years for it to circle the sun. At its most distant, the Goblin is 2,300 times farther from the sun than Earth. That’s 2,300 astronomical units or AU. One AU is the distance from Earth to the sun, or roughly 93 million miles (150 million kilometres). At its closest, the Goblin is 65 times farther from the sun than Earth, or 65 AU. Pluto, by comparison, is approximately between 30 and 50 AU. Sheppard, along with Northern Arizona University’s Chad Trujillo and the University of Hawaii’s David Tholen, spotted the Goblin in October 2015 when it was relatively nearby — around 80 AU. The two other dwarf planets are Sedna, discovered in 2003, which is about 620 miles (1,000 kilometres) across, and 2012 VP113, about 310 miles (500 kilometres). They were found by some of the same astronomers. Thousands — even a million — more such objects could be way out there orbiting in the so-called Inner Oort Cloud, according to the researchers. They’re in hot pursuit of them, as well as a potentially bigger-than-Earth planet known as Planet 9, or Planet X, believed by some scientists to be orbiting at a distance of hundreds of AU. “The more of them we can find, the better we can understand the outer solar system and the possible planet that we think is shaping their orbits — a discovery that would redefine our knowledge of the solar system’s evolution,” he said in a statement. While Aishwarya Rai Bachchan and Manisha Koirala earned praises for their films with the directors, Aditi Rao Haydari would also be hoping for the same…. 5 women alleges sexual harassment against Louis C.K.